Thorium and Uranyl Nitrate Disposal | Oxidizer Disposal | ADCO Services, Inc.
ADCO Services offers turnkey waste disposal and environmentally friendly recycling options for Uranium and Thorium compound wastes (Usually labeled Uranyl Acetate, Uranyl Nitrate, Thorium Acetate, and Thorium Nitrate) also known as N.O.R.M. 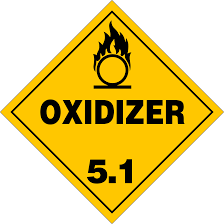 waste (Sometimes labeled as Oxidizers). Naturally occurring radioactive materials such as Uranyl Acetate, Uranyl Nitrate (U-Nat), and Thorium Nitrate are typically found in the academic environment used for demonstrations in such places as high school Chemistry labs and college laboratories, but we have also disposed of Nitrates and Acetates from government institutions and industrial settings. At ADCO Services, we have been assisting generators with the proper disposal of Uranium Acetate, Uranium Nitrate as well as Thorium Nitrate and Acetate waste since 1965 in The United States. 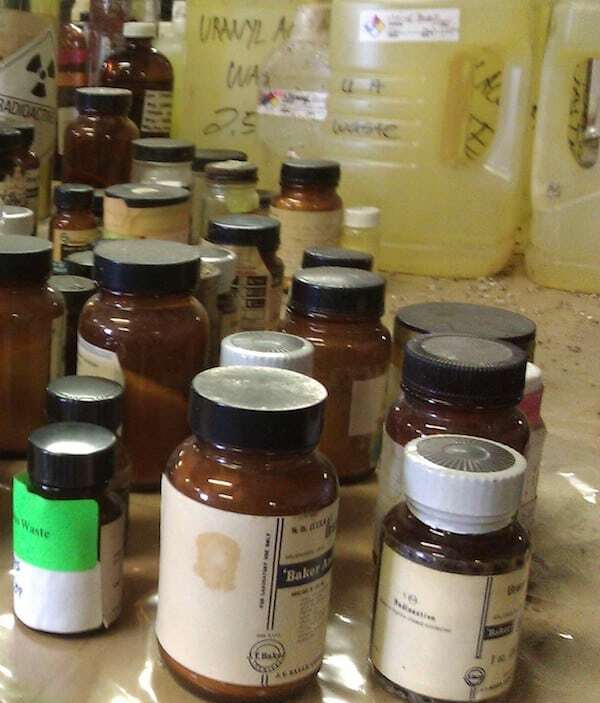 Please note that Uranium and Thorium compounds should not be kept in storage for long periods of time as they can sometimes oxidize if exposed to outside air, lids can become loose over time, and contamination can become present on the outsides of the bottles or even contaminate an entire workspace! Compounds such as Uranium and Thorium should be handled with the utmost care keeping in mind that radioactive contamination could be easily spread if not carefully handled. ADCO Services’ team is fully trained in the proper disposition of U-238 (U-Nat) and Th-232 (Th-Nat) waste. We take the frustration and complexity out of your radioactive oxidizer disposal when you have ADCO Services prepare and ship your Uranyl and/or Thorium compounds for disposal to a licensed radioactive processor. Find out why over 10,000 radioactive waste generators have utilized ADCO’s N.O.R.M. waste disposal service for properly preparing their paperwork for shipment, guidance on packaging requirements for Nitrates and Acetates, transportation, and disposal of this unique waste stream. Our company has over 50 years of experience in providing proper disposal of Uranium and Thorium type wastes. If you have any questions regarding our Uranium and Thorium disposal services or if you would like to discuss radioactive waste removal needs of your organization with an expert, contact us at 877-254-2326 or 708-429-1660 today. Uranyl Acetate Disposal, Uranyl Nitrate Disposal, Thorium Acetate Disposal, and Thorium Nitrate Disposal are Naturally Occurring Radioactive Waste Management Services ADCO can provide disposal options for ADCO specializes in the reuse, recycling, reclaim, and final disposal of all types of (NORM).